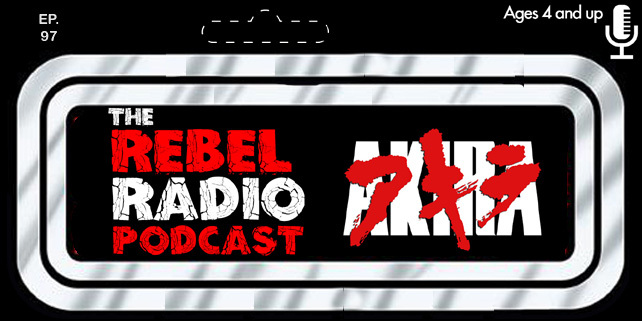 The Rebel Radio Podcast Episode 71 Live From Comicpalooza Now Playing! We are live from Comicpalooza 2017 as we recorded from the show floor this past Saturday! We discuss what's been happening at the con and go into 40 years of Star Wars. We talk our favorite toys, video games, and what if's in the Star Wars universe! We are then joined by Brain, Niki, and Josh from the 501st Legion. We discuss the cos-play group or cause-play group as they like to call as we go in depth! What does the 501st do? How complex are the costumes? What all goes into it? How can you join if interested? And most important the excitement they have for making kids happy with what they do! 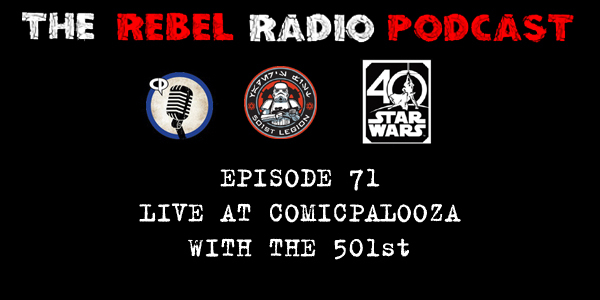 This is the 501st live with us at Comicpalooza and listen to what they have to say about this great organization!